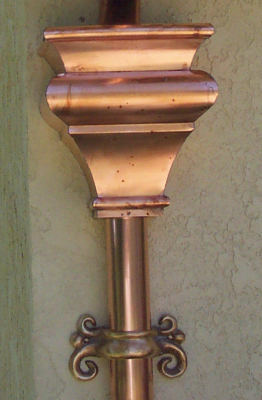 Downspouts are vertical pipes that are used to divert rain water away from a buildings foundation. Without gutters, during a rain storm the water flows down our roof structures, off the eave of the home, and lands near the base of the home. Over time this flow of water near the base of the home may erode the soil near the home resulting in a grade that back pitches towards the house. This can lead to pooling of water next the home, water intrusion into the home, and even possible settlement of the foundation in some instances. Another common occurrence is the deterioration of exterior doors and door frames from the constant contact of water flowing off the roof and landing at the base of the home. Most of these moisture problems can be avoided with the installation and proper maintenance of gutters and downspouts around the perimeter of the home. 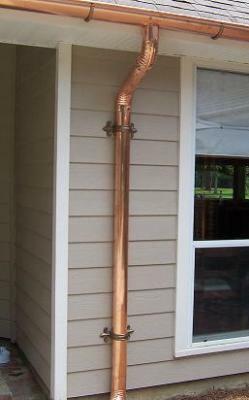 Gutters and downspouts will move the majority of rainwater away from the home either underground or into an approved drainage collection site. 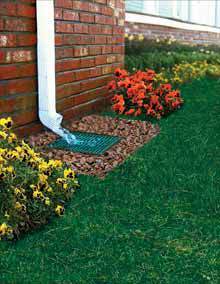 This proper water drainage can save a home from the damaging effects of water. Installation 100% guaranteed and backed by our 5-year labor on installation warranty. This also includes a 50 year Paint Warranty. Because this is rental property I was not present, but William took pictures of each step in process of repair and emailed them to me. I have been really impressed with him, his professionalism. The price he quoted was much better than the quote I received from my rental management company's contractor. The crew was prompt, fast working, pleasant and professional. Workmanship was excellent. Materials appear to be top notch. Clean-up and removal was complete. Would gladly use Five Star Gutters again. 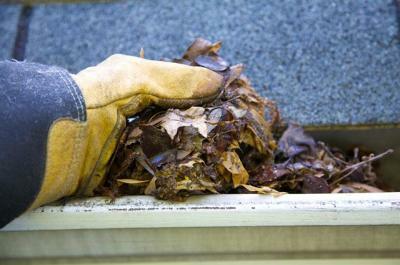 Gutters and leaf protection protect the most valuable Asset …your Home!